AUTO DIRECT #1 RATED DEALERSHIP FINANCING AVAIL. 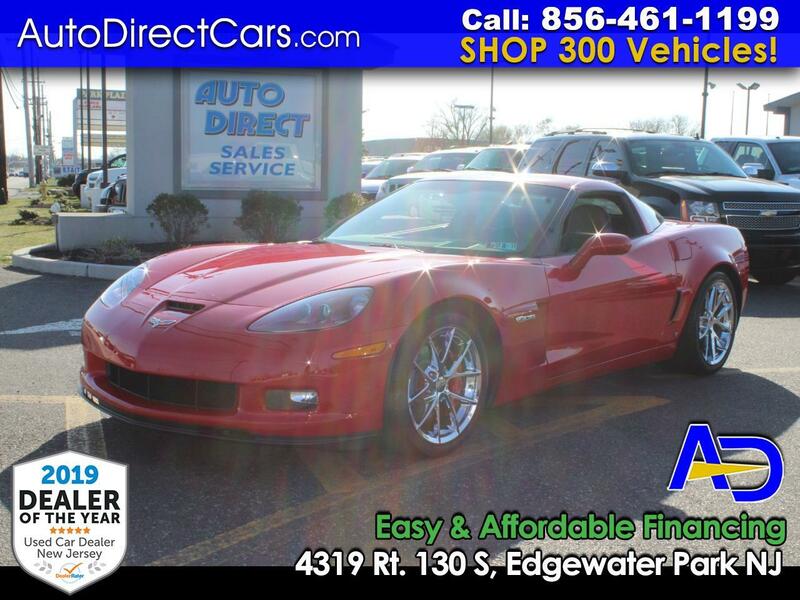 CORVETTE Z06 6-SPEED 3LZ 1774 MILES PRISTINE! *****EXTREMELY RARE AND SPECIAL PURCHASE 1,774 CAR FAX CERTIFIED MILES**PURCHASED FROM A PERSONAL CORVETTE COLLECTION****ABSOLUTE PRISTINE PERFECT CONDITION 2009 CHEVROLET CORVETTE Z06 3LZ 505 HORSEPOWER V8 6 SPEED. CAR FAX CERTIFIED WITH GOOD SERVICE HISTORY. LOADED WITH ALL FACTORY OPTIONS FEATURING CHROME WHEELS, BLACK LEATHER INTERIOR, OVER HEAD DISPLAY, PUSH BUTTON IGNITION, HEATED SEATS, CD AND MORE. PRE-QUALIFIED EASY AND AFFORDABLE FINANCING AVAILABLE. TRADE INS WELCOME. STOP BY & VISIT OUR HUGE INDOOR SHOWROOM.